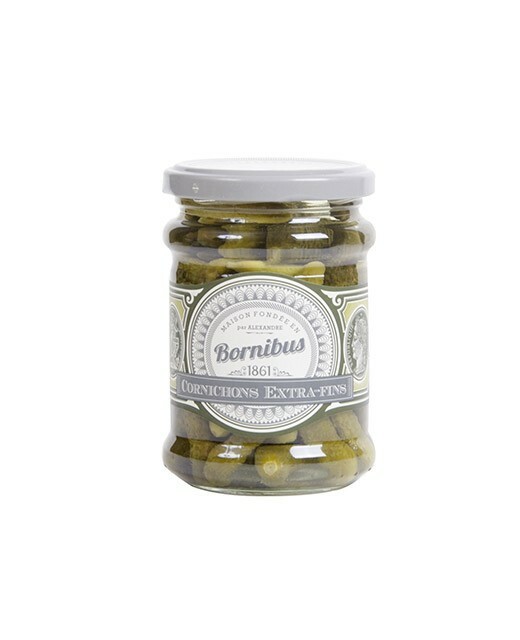 People fond of hot pickle will be delighted by this formula which increases the taste, giving it a chili pepper-like, salty flavor. 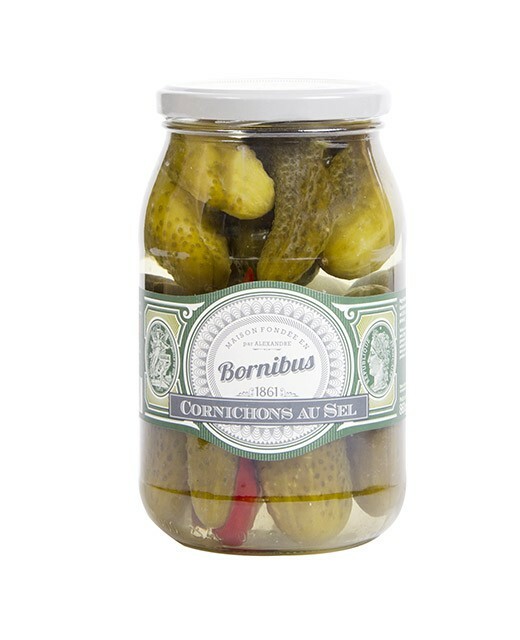 And for the food-lovers, these salted pickles are available in a bigger size. 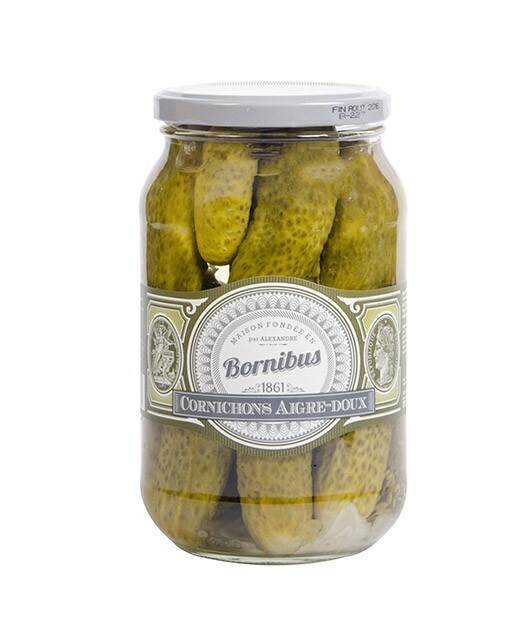 Pickles, brine (water, salt (2,5%), spices, herbs and spices, chili pepper). 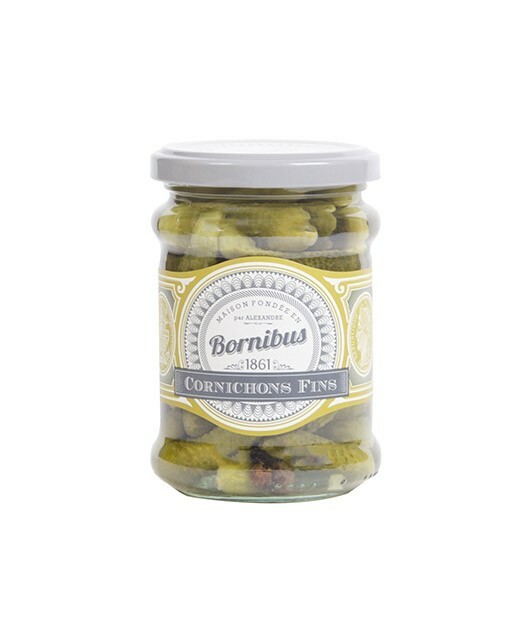 Everything started in 1860, when Alexandre Bornibus took over a small mustard factory located in the Halles of Paris. 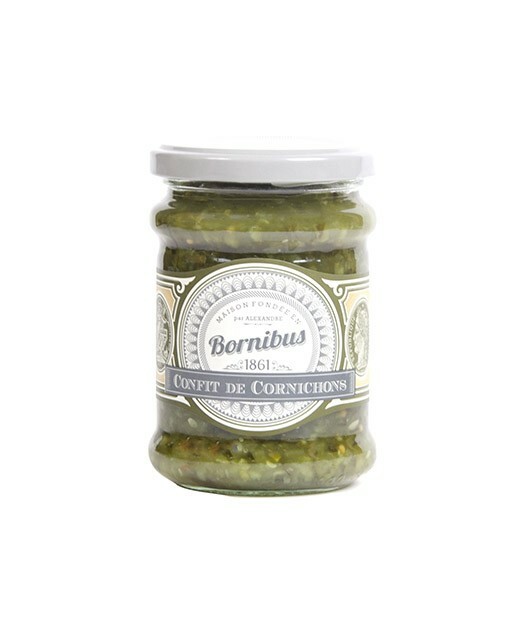 Being a real trail-blazer, Bornibus rapidly gained great fame in Europe. 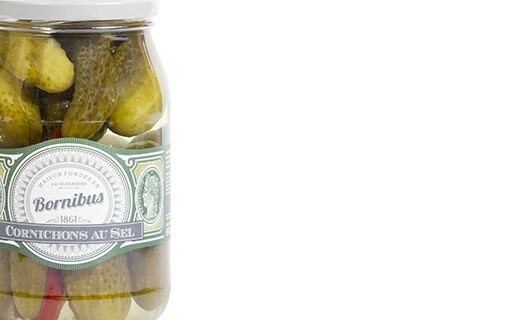 In 2012, ownership changed and the company bounced back to become more successful than ever before, thanks to its famous recipes.